07-Mar-2017 The Tapestry has now returned to Britain and is preparing for exhibition in the spectacular and historic surroundings of Westminster Hall! 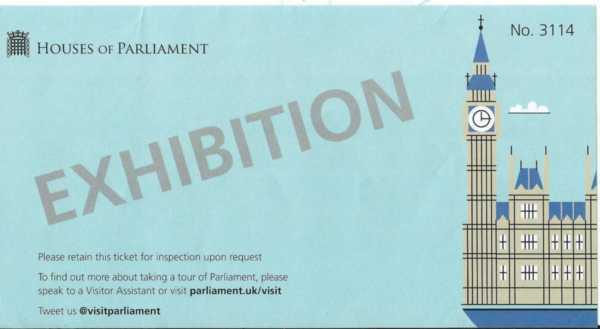 After the tragic incidents on Westminster Bridge and in New Palace Yard, the exhibition had to close for several days with access only via Portcullis House. However, from Monday March 27th normality returns with access via the Cromwell Green Entrance. The Reception for High Commissioners and Ambassadors of participating countries scheduled for Thursday March 23rd was perforce postponed.